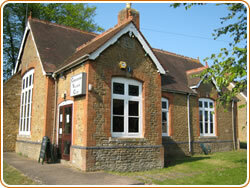 The Village Hall was opened by Colin Dexter in September 2003. It has transformed life in Croughton for many people and is now a bustling well used facility where you can dance, play short mat bowls or badminton, go to the cinema, attend dinners, plays, opera, send your child to playschool or summer activites or hold family celebrations – all without using your car. 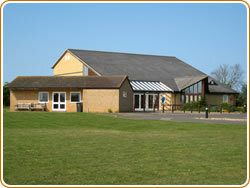 Every village organisation (of which there are many) uses the Hall for a range of purposes. The Reading Room was given to the men of the Village by Squire Ramsey and is now managed for community activities by four trustees. We have now got new guttering for The Reading Room. Thank you to all those people that have donated and brought the weekly Raffle tickets. We are now after any gloss paint white or brown or emulsion paint any colour you may have left over. What's on in the Reading Room?